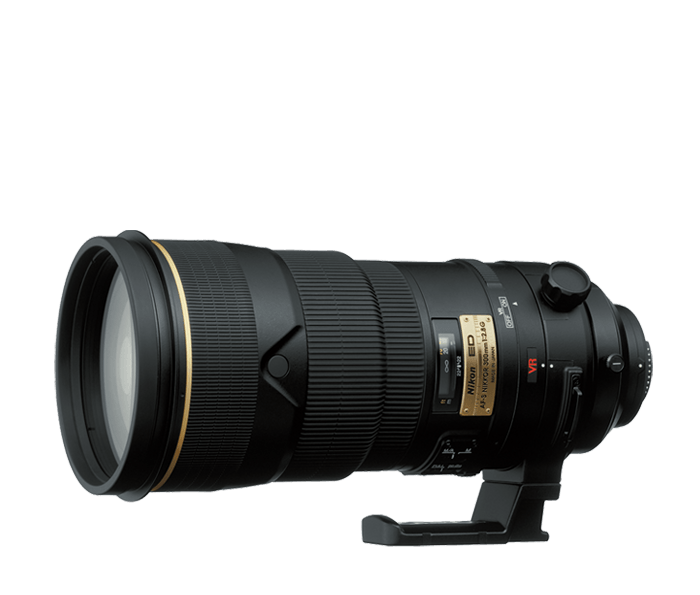 Super-fast telephoto AF-S lens with Vibration Reduction (VR) and Nano Crystal Coat. Nikon's exclusive Silent Wave Motor (SWM) enables ultra-high-speed autofocusing with exceptional accuracy and powerful super-quiet operation. Nikon Vibration Reduction (VR) image stabilization, engineered specifically for each VR NIKKOR lens, enables handheld shooting at up to 3 shutter speeds slower than would otherwise be possible, assuring dramatically sharper still images and video capture. Internal Focusing (IF) design for smoother focusing. Exceptionally high optical performance; compatible with both 35mm and digital SLR models. Three Extra-low Dispersion (ED) glass elements effectively compensate for magnification and virtually eliminate chromatic aberration. Meniscus protective glass element overcomes internal reflections from digital imaging sensor. Focus mode switch enables quick response to changing situations with quick-switching between M/A (Manual-Priority Autofocus) and M (Manual focus) modes. AF operation switch enables easy selection of settings. Focus preset function instantly recalls a preset focal point. Focus limiter switch limits AF-servo movement to a selected shooting distance range.